he suffered an arterial bleed. The bout is favor for the Southpaw Australian Boxer which he dominated the Colombian Boxer in all rounds which leads up the Raging Bull to 50-44 in three judges. 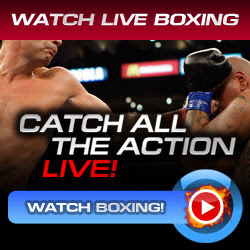 Darchinyan who has the record of (36 wins -3 loss - 1 draw, with 27 knockouts) knock Perez down who has the record of (20 wins - 2 loss -1 draw, with 14 knockouts) in their second round bout and it followed up by the extreme left hands shots in that later round. Vic Darchinyan said before the fight that he is very confident, he can knockout and destroy Yonnhy Perez. No doubt, he proved something. He is a better fighter today. He is very strong and aggressive. As he mention, he like to challenge for a world title again. Hopefully, he will face again Mares or Donaire for a rematch in this end of the year or in 2012. It will be a great fight match and it could be the Fight of the Year.